One small correction to the latest Tribune article, the show runs through Saturday October 15th. 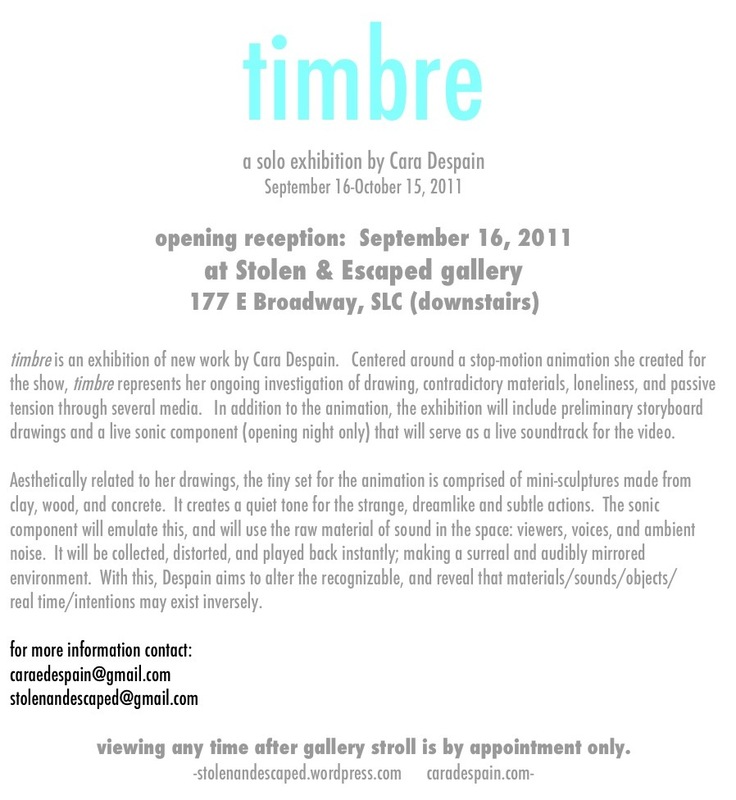 You can view timbre any time during Frosty Darling’s regular business hours. Just ask for assistance upstairs if I am not in my office. I will be in the gallery every Saturday through closing from 1-6pm showing the film in a continuous loop. This month Stolen & Escaped is proud to present “mano y mono” prints by Travis Bone. Join us for the opening reception this Friday August 19th from 6-9pm. The show runs 8/19 – 9/10. 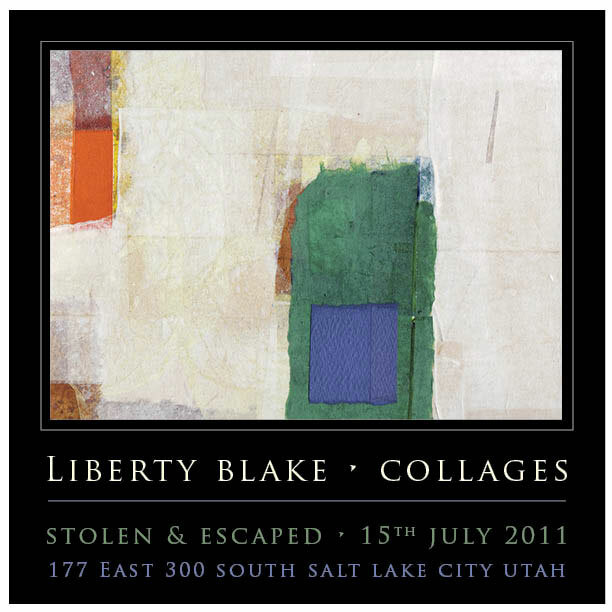 This month Stolen & Escaped is proud to present a phenomenal collection of collages by Liberty Blake. The show opens this Friday evening for Gallery Stroll and will run through August 13th. Don’t miss it! Liberty Blake is from England. She studied at Bath Academy of Art and West Sussex College of Art and Design, where she focused mainly on figurative painting. She has had work shown in the National Portrait Gallery as part of BP’s portrait award show and in The Mall Gallery, London. Numerous portrait commissions have placed her work in private collections internationally. 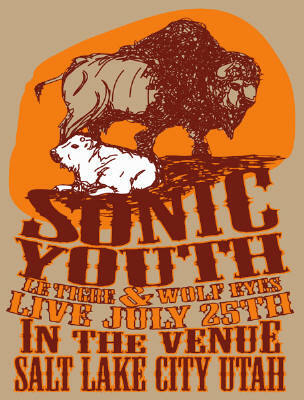 In 1997 Liberty came to Utah, and spent four years teaching art, and selling her work at the Art Shack at Sundance Resort. In 2007 she was involved in the 337 Project, for which she created a large abstract collage using hand made paper. More recently she has created large murals at the Leonardo for the Body Worlds exhibit, and also for The Rose Establishment. 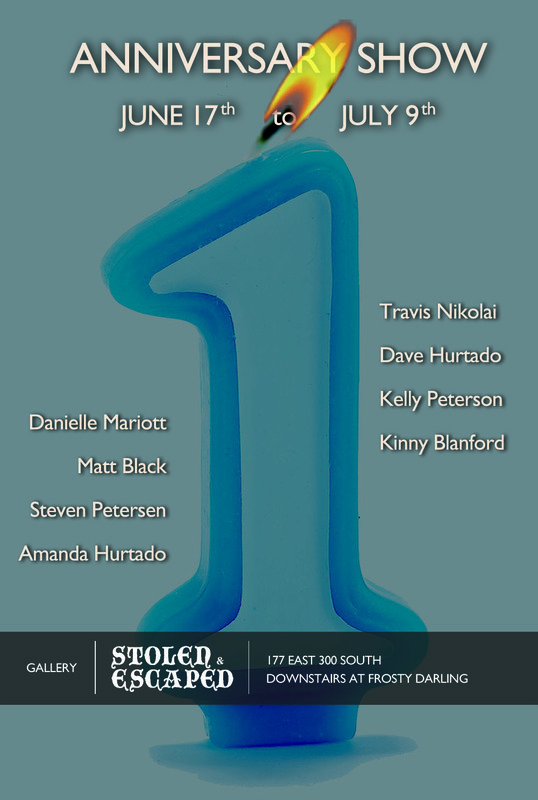 Stolen & Escaped Gallery is 1 year old. Come celebrate with us this Friday June 17th during Gallery Stroll. The Anniversary Group Show features a smattering of artists who helped make our first year amazing. 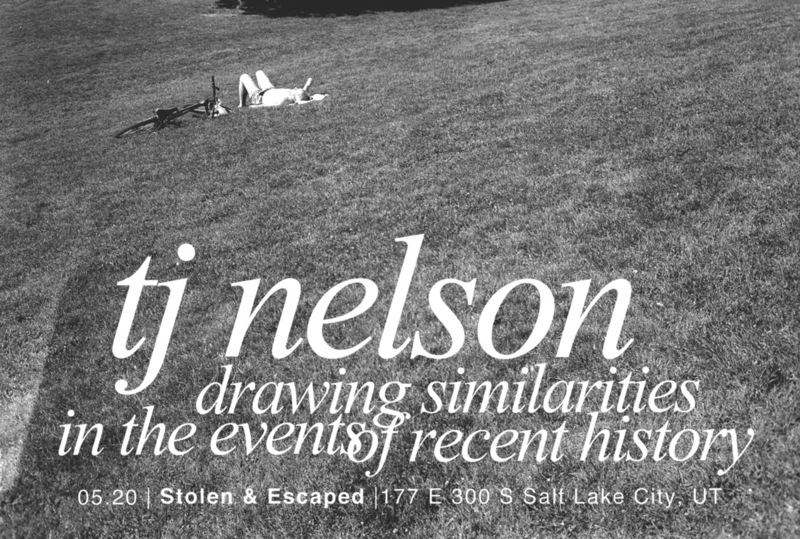 Stolen & Escaped Gallery is proud to present a solo photography show by Tj Nelson. Comprised only of images made on film, Drawing Similarities in the Events of Recent History is a selection that documents an observation in beauty, abandonment, isolation, and escape. Join us from 6 to 9 on May 20th for the show opening. The show will run through June 11th. Stolen & Escaped Gallery is open Tues-Sat noon-6pm.